I’m sitting in my hotel room somewhere in the heart of France (yes, on holiday in paris 🙂 Marry well o! 😉 abi?) and as I flip channels trying to find an English speaking one. 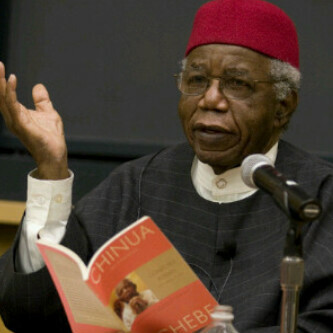 Breaking News flashes across the tv screen RENOWN NIGERIAN AUTHOR CHINUA ACHEBE DIES AT 82. It got me thinking today…. *If you died today? Would it matter? *Would you have made a difference? *Would you be easily replaced? *Could you honestly say you did all you could have or at least that you tried sha? I know if you were to drop dead, you’d make a couple of BBM dps or some facebook pages. Maybe for some of us, news paper mentions or if you’ve really made a difference, if you really touched your world then you’d be like Pa Chinua who despite being born in a little Ibo town in Eastern Nigeria, probably no fire-works at his birth but who by putting pen to paper has the whole world even a French speaking nation (and I’m not sure he even spoke French sef) announcing at his death that he lived. Yes, he lived. Irrespective of where he was born, the era in which he lived, the wars he witnessed, the personal battles he had to fight, the point is… He lived. He walked the face of the earth at one time and didn’t leave unnoticed. He made a mark by doing what he knew to do best. He put pen to paper. May seem simple enough but he made a difference. He announced his name and made my surname popular ;-). You haven’t read things fall apart?! *my most shocked face* You don’t know “Ebube Dike?” I give up! :D. So what are u waiting for? Hurry go grab a copy. On a more serious note though, I guess what I’m trying to say is live your life so that it will matter as much in life as in death. Some people are celebrated in life; Some in death (they throw them lavish burial ceremonies even when they were poor, miserable and un-appreciated while alive). Others because they are dead 😀 but I think really after all is said and done the big question is will you be celebrated in the after life? When you face your maker what will the reception be? What you had, who you knew, whose bb you were on, what you wore, what you drove, all these wouldn’t matter so much then would they? Its who you were when no one but God was watching. Death always makes me think about life……and the after-life. Maybe you should give it some thought too. Jesus did that’s why he came and died and ROSE. He’s alive o! Receive what He did for you and living will make more sense, death would just be taking a lift to the next level and walk into heaven red carpet style. How could you ever pass up this offer? If you die without knowing Jesus and accepting what He did, trust me. Things will fall apart and no centre can hold. “Dear Lord, I come to you today and confess that I am a sinner. I believe with my heart that Jesus died and rose again for my sin. I confess with my mouth that I receive you today as my lord and saviour. Come into my heart and give me the grace to serve you all the days of my life. Today I am born-again and heaven bound”. Now Call +2348077714411 or +2348028356363 and someone will be glad to answer all your questions. Dilemma tuesday coming up this week. Get ready. More prizes to be won. After all said and done, I celebrate you Pa CHINUA ACHEBE. A legend. Because of your gift of language. You made us love books and respect our rich cultural heritage especially our Igbo proverbs. We all dare to dream and put pen to paper or in our case, fingers to keypad. You make being called a writer something we yearn for. 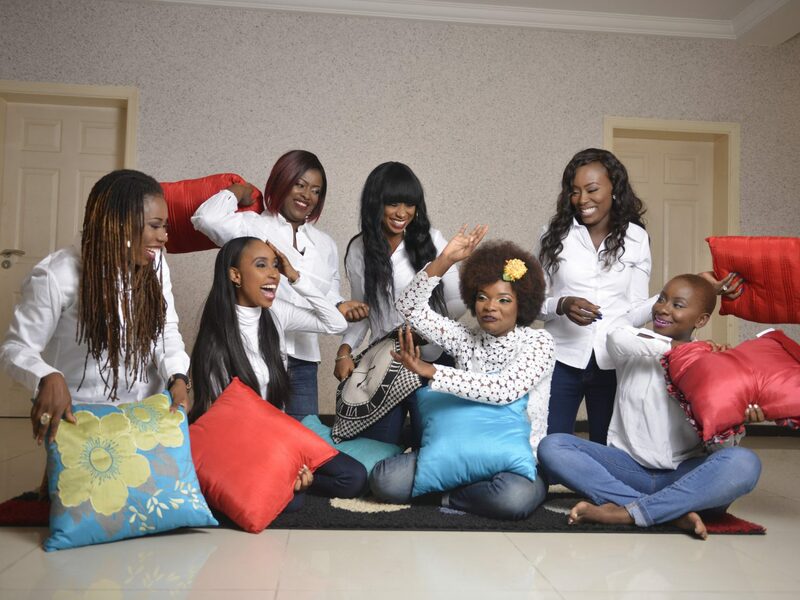 You make us proud to be associated with you… to be called Nigerian….and for some of us lucky ones “Ndi Igbo”. Thank you for this beautiful piece…Ma I’ve missed your writing…seriously! Yes, Chinua Achebe gave us reason to believe we could change our world with our writing. Pls when you can, stop by at my blog: chymdii.wordpress.com and please let me know what you think about my writing. May God bless your ministry @DCC, you and P.K, and sweet lil’ Haddasah…I want to enjoy my (future) marriage like you’re enjoying yours! 🙂 Thank you for writing! Thot provoking piece… Dilemma tuesday, yayy!! Doing d shuffle. I have to win smthn again. Food for thought post. Thank you for this post. Next Next post: should I adopt?